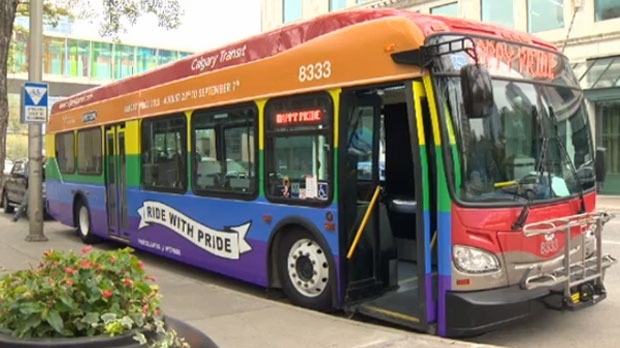 The annual Calgary Pride Festival kicks off this Friday and, as a show of support, a Calgary Transit bus has been wrapped in a symbol of inclusiveness, but at least one driver does not want to be at its helm. The rainbow flag bus will operate through September 7, the day of the Calgary Pride Parade. The bus will not have a constant, designated route and will be rotated between a number of routes situated throughout the city. Calgary Transit will announce the rainbow bus’s scheduled routes each day on the Calgary Transit website and on Twitter. The $9,000 cost of the bus wrap was paid for by Pattison Signs. 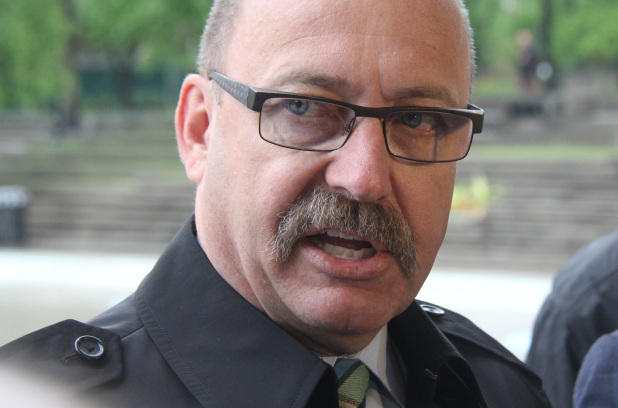 Calgary Pride’s director of govenment affairs, Craig Sklenar, says the bus is a symbol of progress. Not everyone is a fan of the temporary Pride-friendly addition to the Calgary Transit fleet. If assigned to drive the rainbow bus, Rau says he will face a dilemma. Rau says that while the bus looks beautiful but it is clearly promoting the homosexual movement that he does not want to be aligned with. 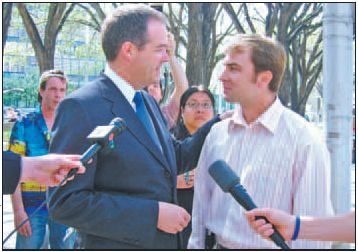 Rau hopes Calgary Transit and the Amalgamated Transit Union will support the requests of drivers who do not wish to drive the rainbow bus. ← Brooks Medieval Faire and the name of Jesus!